Living room is a place where friends and family spend quality time together, so it is important for it to be comfortable and well arranged. 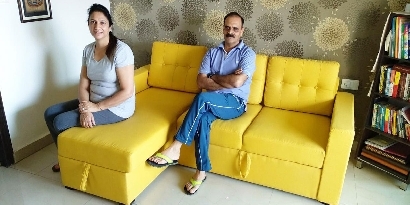 Perfectly proportionate placement of furniture makes your room appear well-groomed and plush, and rightly placed seats make a meticulously designed and comfortable living room. Today, we showcase some eye-catching living rooms, bursting with personalities of their home-owners and featuring our bestsellers. Scroll to see more! 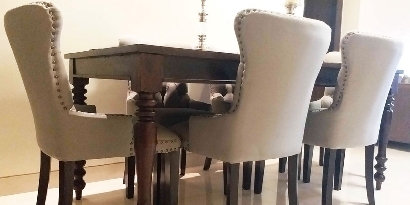 Simplicity speaks for itself and Dr. Sharath’s residence is a perfect example for the same. Filled with the warmth of solid wood and coated with honey finish and warm grey fabric seats, this living room is a good example of a warm and comfortable interior. 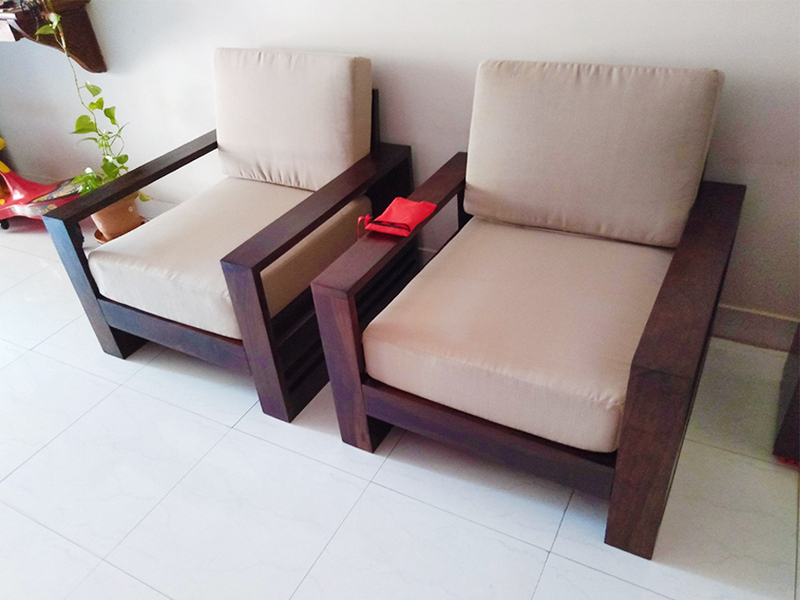 Dr. Sharath added wooden elements in their living room in the form of Marriott Sofa set and a customised centre table from WoodenStreet. 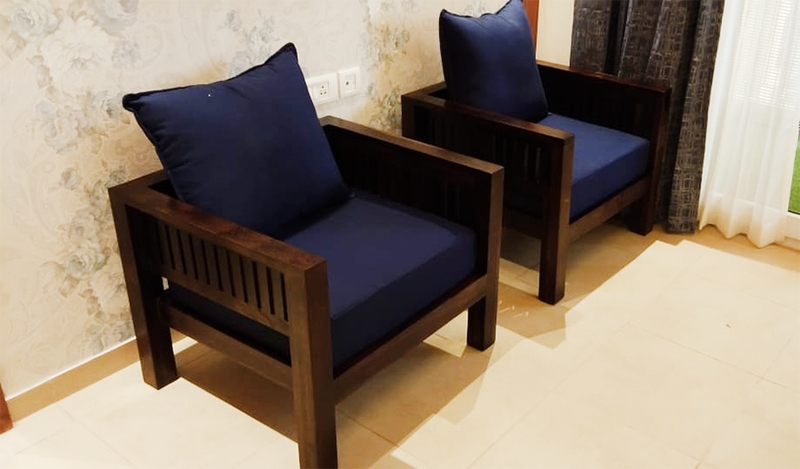 Blue brings brightness to the décor and you’ll agree to this after having a look of this family room of Shibu Jacob. Roman one-seater sofa in indigo ink fabric and walnut finish looks fabulous in this serene room. The blue sofas, placed against the white and blue motif wallpaper, are pleasing to the eyes while the walnut finish over premium solid wood promotes a warm and cosy space. While kitchen is the heart of a home, the living room is its heartbeat. A picture-perfect living room never fails to impress. Bring the best for your living room with just a few clicks, and even have it customised the way you want. 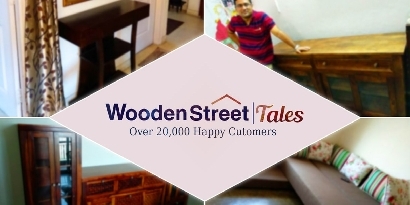 Shop and give an amazing look to your home effortlessly with Wooden Street. What are you waiting for? Start your search now!